“Do I really need to blog?” is the immediate response of most people when we float the idea of blogging; and it’s a feeling which unites business people across the board, from start-up entrepreneurs to larger corporate clients. But if you’ve side-lined blogging, could you be missing out on valuable leads and sales? People really do read blogs; they find them when they’re searching the internet for specific information and are receptive to relevant messages and ‘arguments’. On the whole, consumers value and trust the views and discussions generated by blogs. So, what could a blog do for you and your business? By posting frequent and topical blogs about your business and your industry, you are demonstrating your specialist expertise. As a reader, once you’ve impressed me with your knowledge, why wouldn’t I come to you when I next need help in your field? And in terms of digital authority, the more blogging you do, the more activity will be on your site – people visiting, sharing and linking to your posts – which will help to give your website more domain and page authority over your competitors on the search engines. 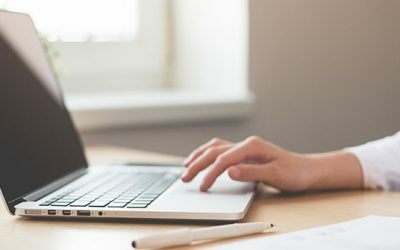 Your blog is a chance to connect with your readers, to write in a more conversational and direct manner that you may not feel comfortable with in other communications. If you’re a larger corporate, it helps to break-down the impersonal ‘faceless’ feeling which many customers, rightly or wrongly, report. Your customers probably don’t just buy from you – they ask technical questions, have service or maintenance queries, need to know what’s gone into the production of their goods, want to know more about what their options are? Why not showcase expertise from across your functions and departments with, say, a technical blog, a service/ maintenance blog, a customer service blog… it all helps demonstrate and affirm your expert status. Blogs are great for SEO – everyone says that – but why? Well, Google (and others) love fresh content, but constantly updating your website can be a time-consuming and costly exercise. A blog adds fresh content instantly! And of course, there’s the traffic to and from the website! But blogs also help to increase the quantity of keywords and phrases you can use, thus increasing their optimisation too. Search engines don’t like websites gratuitously stuffed with keywords, but you can use them in all of your blogs without jeopardising your website… in fact, it’s a great help! Your keywords will move up the SEO rankings, thus bringing your website up too. Most blog readers are receptive and responsive to lead generation CTAs as they’re actively looking for information, so why not grab your readers whilst they’re warm? They’ve searched for your subject, they’re reading your content, so they must be interested in what you have to offer. 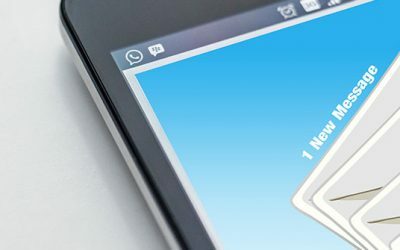 Every blog post is an opportunity to generate new leads; don’t let your readers go without taking action and leaving you their contact details. Blogging is easy… and it’s free! OK – so it’s not just a matter of slamming your thoughts down and the internet will do the rest – a blog does need to be effectively structured and formatted; delivering great content with the right copywriting techniques which compel people to read and take action (all of which we can help you with). But in effect, apart from the time taken to write the post, blogs are free and east. Tools like WordPress help you through the process. There’s more too: I haven’t mentioned social media, but blogs are full of great content and they’re perfect for sharing across your social media platforms. And remember, a blog is interactive, so why not use yours to test proposed product development initiatives or marketing campaigns before you go live, or to help understand your customer-base better? Basically, adding one or more blogs to your mix will drive long-term results; perhaps more importantly, not adding one could have a detrimental effect.